AkzoNobel, the world’s largest paint and coatings manufacturer believes that being a responsible steward of the planet goes hand in hand with being technologically innovative. So making superior auto paint while protecting the environment is their goal every day. This collision repair center and AkzoNobel agree that serving customers like you means delivering exceptional results in ways that are environmentally responsible. You have probably heard people discussing “waterborne” and “solvent-borne” paints and wondered how they are different. Does choosing one mean better results and the other mean better for the environment? Simply put, solvent-borne coatings use petrochemical products as the main solvent for thinning the paint. Although effective, this method releases volatile organic compounds (VOC) into the atmosphere during the painting process. Waterborne coatings use water as the primary thinning method which greatly reduces VOC emissions. As a customer at this body shop, you have already made an informed choice by choosing a collision repair center that uses AkzoNobel paint products. 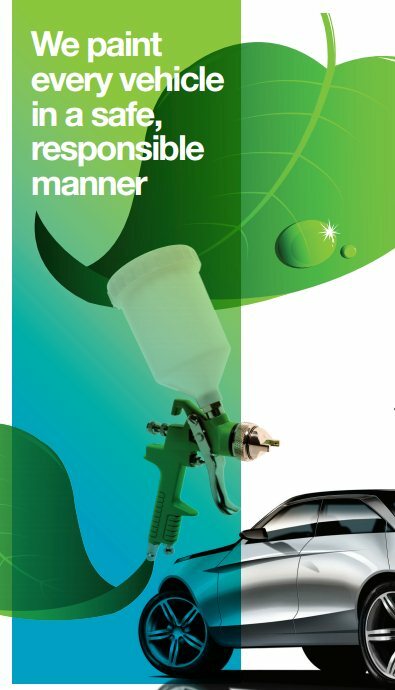 You can feel proud that your vehicle will be repaired with AkzoNobel waterborne coatings, paint that is fully compliant with the strictest legislative regulations. And we thank you for the important role you are playing in protecting the environment. Peterson Auto Body uses Sikkens Autowave paint. Sikkens and Petersons committed to environmentally friendly paints. 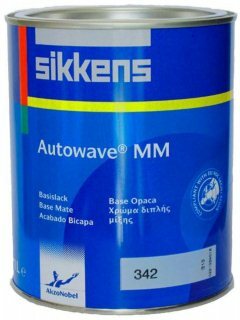 Sikkens Autowave offers the best waterborne refinish system. Autowave has proven to outperform other waterborne systems on the market. In exensive test with comparable products, the Sikkens system proved to have excellen color accuracy, ease of application, good covering power, fade out and cost effectiveness.